If you have a platoon of 25 or more people, you can get best pricing through our Group Tickets team. 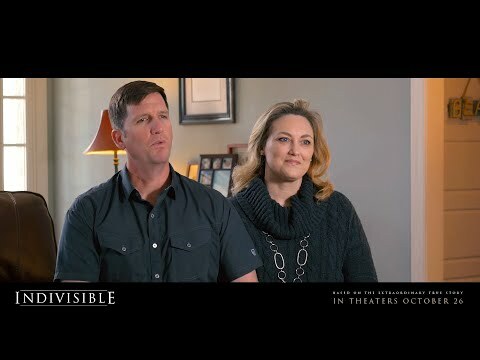 You can donate tickets for military couples to see INDIVISIBLE when it opens in theaters October 26. Relationship expert Dr. Gary Chapman teams up with Jocelyn Green, a former military wife, to speak directly to military couples in The 5 Love Languages®: Military Edition. 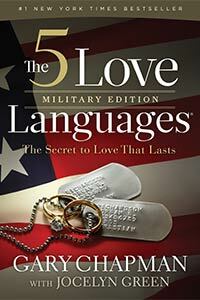 This military edition will inspire and equip you to build lasting love in your relationship, starting today. This book includes stories from every branch of service, tips for expressing love when apart, and an updated FAQs section. 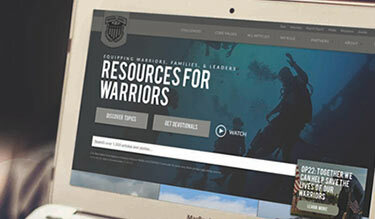 Discover great resources that help serve the needs of active duty and military veterans and their families. 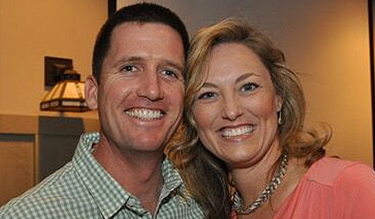 Meet Darren and Heather Turner and discover their heart for ministry to military members, veterans, and their families. "Military couples have an uphill battle to maintain healthy marriages, whether in deployment or stateside. INDIVISIBLE is one of the best films on marriage I have ever seen. It is an honest look inside the homes and hearts of our heroes bringing hope and encouragement that they can win the battle!" "As a military mom, watching INDIVISIBLE was an emotional experience that captured the sacrifices families make as their loved ones go to war. It is a refreshingly motivating story of great hope and recovery that is much needed. 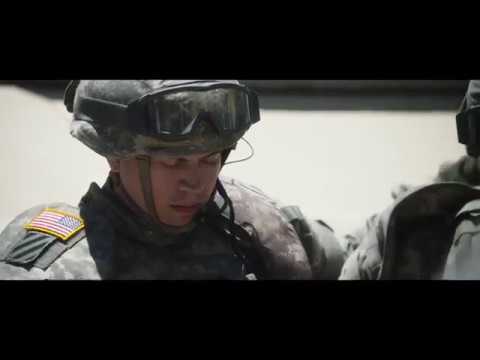 Everyone who loves a service member should see this film." "INDIVISIBLE tells the story of the unsung heroes that minister to military. This story needs to be told! This film will help you appreciate the service that chaplains give to warriors and the sacrifices military families make for the soul of our country." "Service, mission, sacrifice, brotherhood, loyalty, family, and God all wrestle for a man’s top priority in the action-packed movie INDIVISIBLE! Terrific!" "This is a powerful, compelling, true-to-life story about a real couple and their struggle to keep their family and marriage together after military deployment. Every couple needs to see this film!" "A masterful movie bringing to life God’s ability to restore war-damaged marriages and families. A great story of hope and restoration." "An emotionally riveting story that portrays the high price paid by military chaplains that provide the 'ministry of presence’ to troops in a combat zone. The movie will convict those suffering the invisible wounds of war on the importance of telling their personal war story to their loved ones and those willing to understand the depth of their soul injury." "INDIVISIBLE is the first war film I have watched since my retirement. This film thoroughly resonated with my experience as a chaplain and husband who accompanied over 3,000 soldiers through the Iraqi War, and also rear detachment challenges faced by American families. Very well done!" 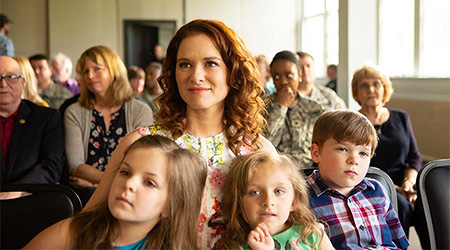 "As America's longest war carries on and couples face struggles in an ever-changing world, this film points to how we can remain Indivisible in our marriages and in our walk with God." "As a retired Army chaplain, watching INDIVISIBLE was like experiencing reality for me, because I lived through much of what it portrayed. I cried at numerous points while viewing INDIVISIBLE, because the movie tapped into my emotions, experiences, and the tragedies I have experienced and personally helped many Soldiers work through. INDIVISIBLE was indeed true to life, reflecting the experiences of tens of thousands of Soldiers. I highly recommend INDIVISIBLE to all military personnel, and to every family, church, synagogue, mosque, or organization—secular or religious."